I’m so happy to have been part of bringing that beautiful cowl to life! 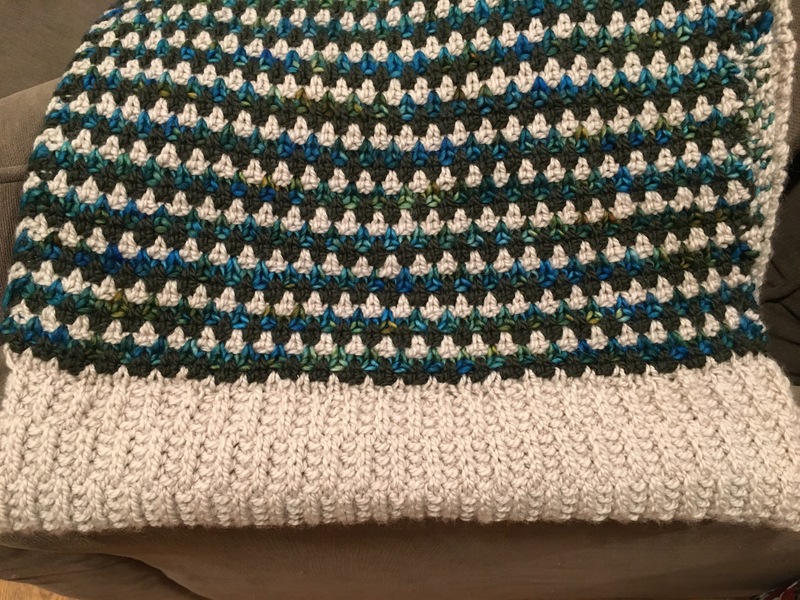 I am so happy you got my project off the needles. Man, if it weren’t for your suggestion I’m not sure where that beautiful cowl would have ended up. Thank goodness for the wisdom of other knitters. Your idea worked beautifully! It is beautiful! Sounds like a lot of hard work, I probably never would have finished. Really, the process was so fun and I learned more about knitting than I have with any other project. The finishing was the only part that was frustrating, and I’m sure you would be just like me. You don’t get a garment to the bind off stage, and quit. That’s just unacceptable! It is beautiful, isn’t it? I do love the finished product. Thanks for the compliment and the comment! It’s a great learning project and so pretty, squishy and warm at the end! Come on cooler weather! 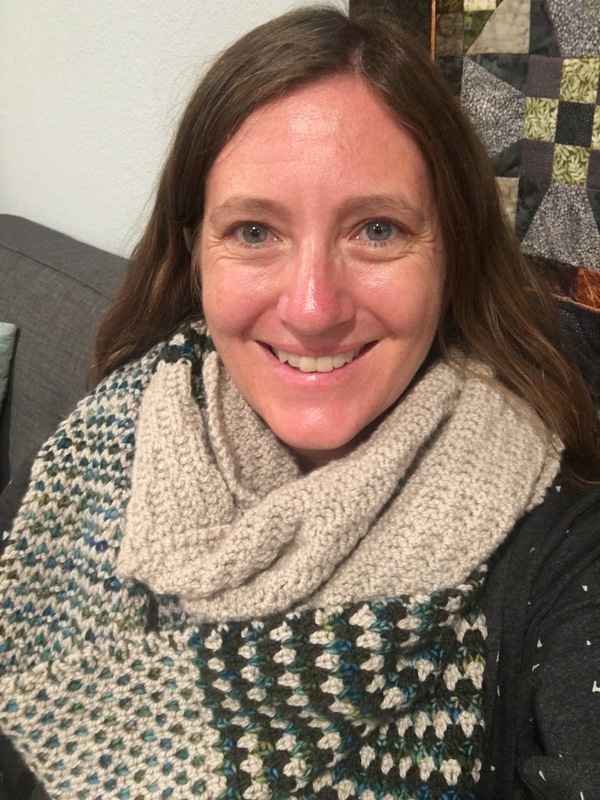 The whole pattern is available at Purl Soho for free: https://www.purlsoho.com/create/2014/01/30/whits-knits-stitch-block-cowl/. They call the tricolor stitch pattern “English Rose Tweed” and the whole thing is really fun to knit! It’s been cold enough that I’ve been able to wear my cowl three times now, and I love it. Thanks for the comment and welcome to the blog!